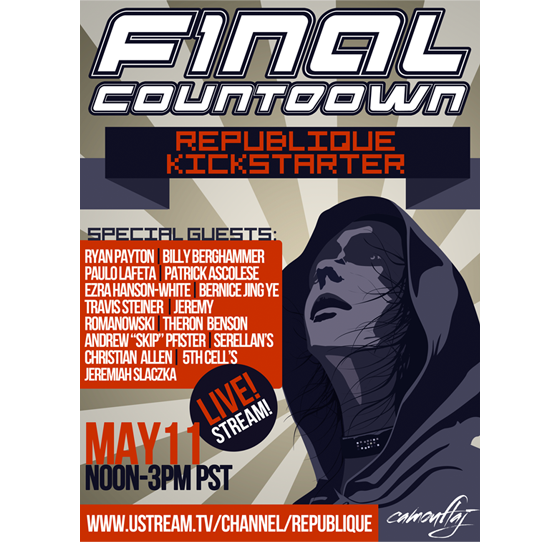 Developed by industry veterans behind AAA games like Metal Gear Solid, Halo, F.E.A.R., Kinect,and cutting edge videos like the Skyrim television spot and the iconic iPod “silhouette” ads, République represents a strategic alliance between Camouflaj and Logan to make an epic action game designed specifically for touch-based devices. On October 31, Logan founder, Alexei Tylevich, and I wrestled with feedback we received from industry colleagues who told us that our ambitions were too big. They suggested we do something simple and small like so many other games on iOS... Alexei and I spent hours reviewing the production and financial risks. We discussed our belief that gamers will embrace iOS when more games are made for them. By sunset, we were even more committed to doing something different, big, and risky. 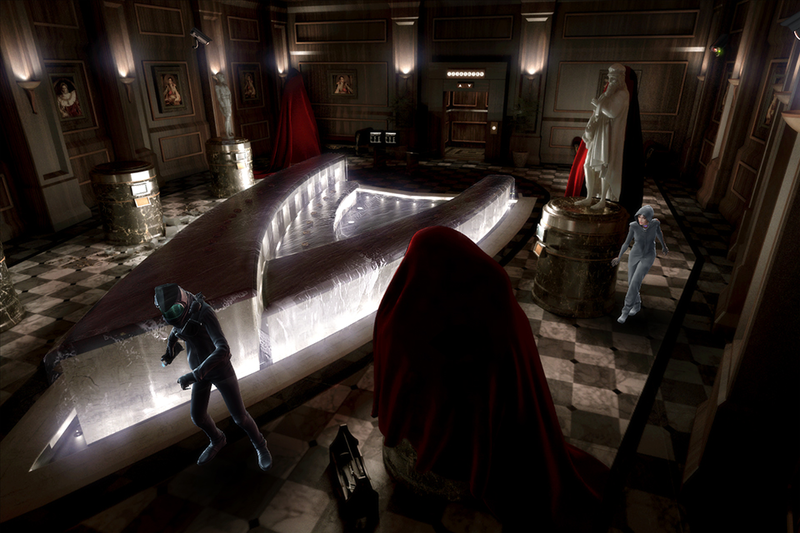 On Halloween night 2011, République was born. We immediately went to work on developing a gameplay system that drives the symbiotic relationship between Hope and the player. Our internal design pillar is “Hope is Alive,” meaning Hope is not a marionette for the player to manipulate, but rather a smart, believable, and empathic hero. Books like 1984 have served as key sources of inspiration not only for the narrative, but also the core gameplay. In République, players become Big Brother: Hope’s protector and growing threat to the Overseer’s grip over his secret nation as players gain control of any network-enabled devices, introducing really cool puzzle scenarios. With the tap of a finger, players can power down lights, wiretap calls, summon elevators and – like a good big brother or big sister – protect Hope by slamming doors on her pursuers. In the event that we surpass our initial funding goal, every penny will go into building an even bigger game with features that you will help us define. Thanks to the global proliferation of iPhone, iPod Touch and iPad, hundreds of millions of people are now carrying a powerful gaming device with them every day. Finally, game makers can truly speak to a global audience, an audience that – thanks to touch controls – can easily jump into the interactive experience. iOS is becoming a great gaming platform, but where are the games for people who love intense action and story-driven experiences? Where are the AAA games designed specifically for touch-based devices? As someone who loathes virtual joysticks, I have great respect for what Chair Entertainment did with Infinity Blade: they built an action game specifically for touch devices. We aim to do the same. If you believe like I do that that there are millions out there who want more serious games on mobile, please support République and send a message. One of the best things about Kickstarter is that it allows us to have a a direct connection with the community and have a dialogue with them. 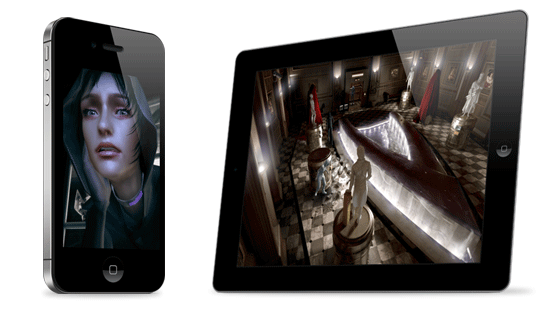 Upon announcing République for iOS, we received an incredible amount of buzz for the game. It also generated a lot of commentary on the chosen platform. We as a team are still committed to iOS, but now, thanks to the community's feedback, we are committed to delivering a unique version of République specifically designed for PC and Mac with new features, gameplay and story elements that speak to the strengths of the platform. Look for a video update next week where the team at Camouflaj discusses the direction we will take the desktop version of République! Digital platforms like Steam and the App Store are great, but there's something lacking with digital products. I miss the physical connection (and smell!) of game boxes, strategy guides, and maps. This is why I’m excited to announce the RÉPUBLIQUE JOURNAL, the physical half to the game experience. 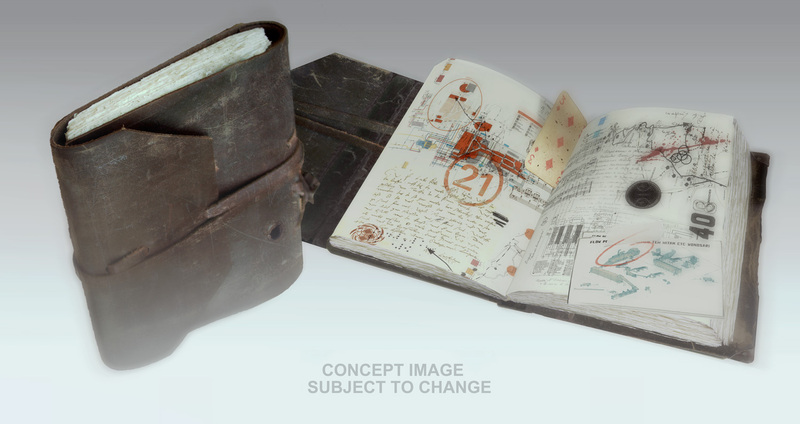 This high-quality book is a “replica” of the one Hope finds in the game: a musty-worn book passed between secret revolutionaries that features hand-drawn maps, writings from undercover dissenters, newspaper clippings from “The Outside,” sketches of the Overseer’s inner circle, and even a translation guide to the graffiti found in the world that may lead to hidden supply caches and audio tapes. 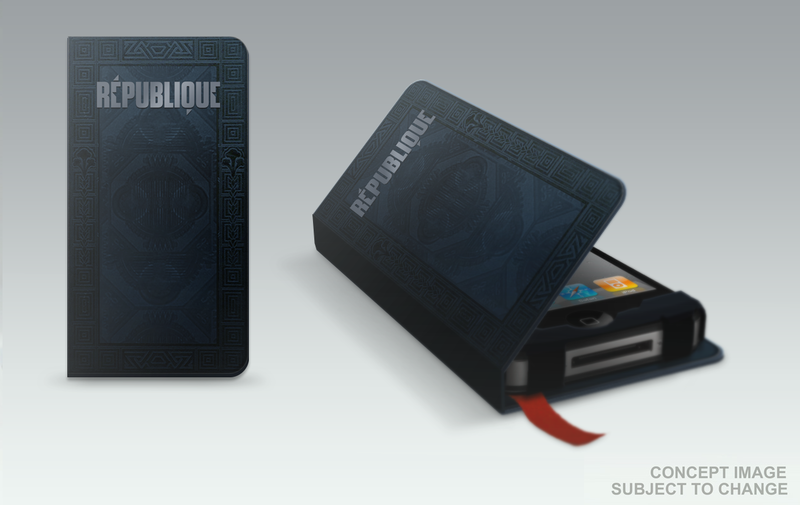 This pocket-sized book is the ultimate companion to the République experience. While it's not required to finish the game and understand the story, we know players are going to love it. Just like the République Journal, the Collector's Edition is being designed as a believable artifact from the game world. More specifically, the Collector's Edition features a hollowed-out copy of the Overseer's Manifesto that Hope uses to hide contraband items. 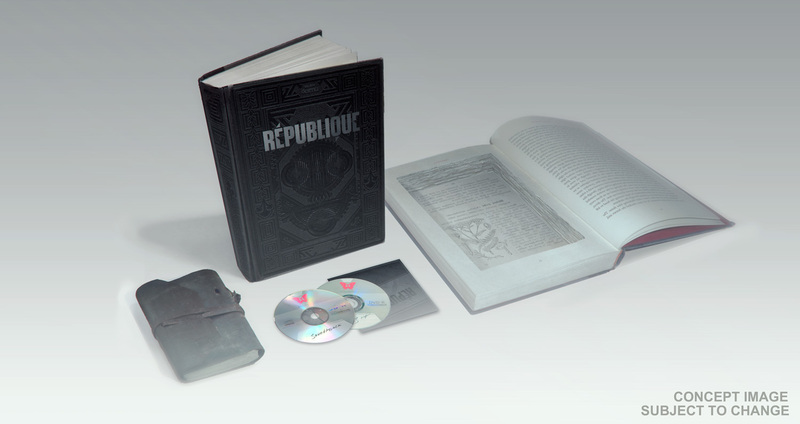 Everything from the journal to the CD and DVD are designed to look exactly like they do in the world of République. The design fits in with the fiction but also needs to be functional. I think we struck the perfect balance. We estimate that République will cost north of $1 million to complete. After months of meetings and due diligence, we believe that we can raise the necessary additional funds to complete République from potential outside investors, but there is some risk that our efforts will be unsuccessful. Before we enter into any financial agreements, we want to prove through Kickstarter that there is a market for a serious AAA mobile game. While we may eventually have to share future profits from the game in order to finance development costs, we have no intention of sacrificing quality, creative control or IP ownership. In the very happy event that we exceed our $500,000 Kickstarter goal, this will grant us more financial freedom and will allow us to build an even better game. We will also consider the idea of developing République for other platforms, however this is not a decision we take lightly, as we firmly believe in developing our games to the strengths of each platform. I'm writing this just hours before this page goes live. The team is brimming with anticipation, as everyone is hopeful that there are thousands of others out there who want more AAA experiences on their iOS device. Are we right to assume that? We will all know very, very soon.